Etching is a type of engraving that is used on crystal, stone, and glass. It is used to mark out letters, logos, and graphics on such items as wine bottles, vases, and decorative pieces. Traditionally, etching was done using a strong acid. The acid was used to cut into the surface of a metal to form the desired design. Today, there are alternative chemicals which are used instead of acid. Etching has plenty of benefits when you need to produce lines under the surface of the material. Etching is extremely precise. It is fast and it produces durable results. It is a great choice because it can be used on a wide variety of materials. Rotary Engraving is used on certain metals including gold, sterling silver, copper, and aluminium. This type of engraving is used to cut out letters and logos on items such as knives, trophies, and plates. Rotary engraving uses a spinning cutter in a spindle to cut through material and make an engraving. Diamond engraving is a form of rotary engraving. It uses a graver to make marks on the desired material. One of the best things about rotary engravings is that it is appropriate for a wide variety of materials. Laser Engraving is appropriate for various types of materials including metal, stone, leather, and wood. Laser engraving is very neat. They are often used in iPad covers, portfolios, and making name badges. This method of engraving uses beams of light. It is different from traditional modes of engraving because it does not use ink. It is possible to imprint according to the depth you desire. With laser engraving, heat from the light beams melts and forms vapour on the intended rear leaving a smooth, permanent engraving. With laser engraving, it is possible to retain the original shape of your material. It is the best option if you are trying to personalise your objects. Since it is very precise, it is appropriate for making logos and serial numbers. Have you been considering engraving? Whether you wish to engrave gifts for your loved one, your household goods, or for commercial purposes, you should exercise some patience. Personalised engraving turns your household items into treasures. If, for example, you have a cutting board, it is a great investment. You can, however, turn it into a lifetime investment by engraving. If you are a minimalist or someone that prefers modesty, engraved items are a great choice. They make it possible to turn any of your household items into treasures. 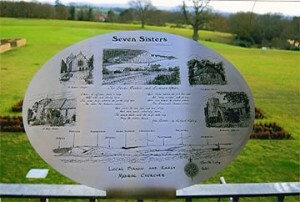 Plaque engraving sends a personal message. They are beautiful and permanent. Your plaque engravings can be permanent. At Able Engraving & Design we offer various types of engraving to suit different needs. Some of the most popular ones include; metal, etching, hand, and laser.